Look for one graded autograph per box, including the top players from the stacked 2017 NBA Draft Class! 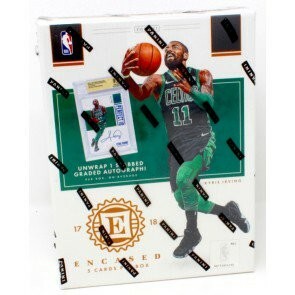 Find top-tier autographs from the NBA’s greatest players, including autographed memorabilia cards and rare Perfect 10 graded cards! Chase memorabilia from top rookies and veterans alike, including stunning Prime parallels!